Looking for a best smartphone priced under Rs 10,000 than Xolo brings you it’s stylish, innovative and powerful budget smartphone the all new Xolo Omega 5.5 with Octa-core processor, Hive UI is based on Android 4.4 KitKat and 13-MP Camera priced at Rs. 9,999 in Black colour option will be available in Indian market from 20th Dec. 2014. Xolo also launched Octa-core Xolo Omega 5.0 priced at Rs 8,999 which is available from 10th Dec. 2014 in Black colour option. The all new Xolo Omega 5.5 supports Dual-SIM(GSM+WCDMA) with 3G, Wi-fi, Bluetooth, USB and GPS comes with a bigger 5.5-inch HD (720×1280 pixels) IPS display offering a pixel density of 294ppi powered by 1.4GHz octa-core MediaTek processor with 1GB RAM, 8GB Internal Memory and 32GB expandable memory and runs on Hive UI is based on Android 4.4 KitKat OS promising crystal clear wide angle view and blazing multi-tasking. Xolo Omega 5.5 also comes with huge 13-MP rear camera with Sony Exmor RS sensor promising world class picture in low light while 2-MP front-facing camera is perfect for selfies and video calling. It also packed with a 2600mAh battery promising Talk Time (2G) up to 30.8 Hours, up to 13.3 Hours(3G) and Standby Time (2G) up to 779.5 hours, up to 749.2 Hours(3G) measures 155.50mm x 76.60mm x 10.60mm. Secondary Camera 2-MP front-facing camera for selfies and video calling. 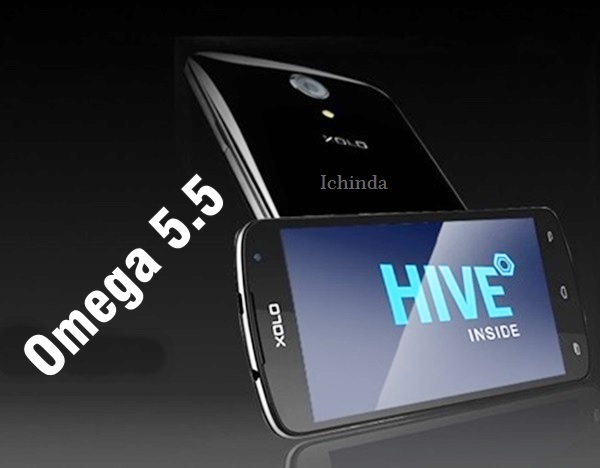 At last few honest word, that the all new Xolo Omega 5.5 is the best smartphone in affordable price going to be the next choice of India. What you think? please be open to give your view.